The role of a writer is not just to utter what we can all say—but what we are unable to say. 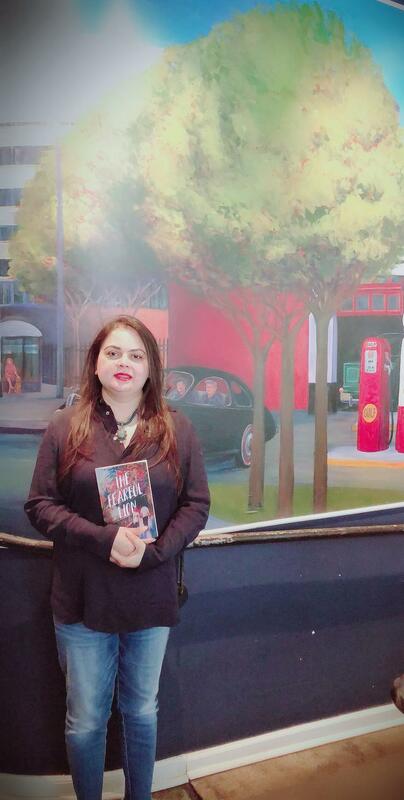 A decade of writing blogs and short stories has culminated in Almas Akhtar’s first novella, The Fearful Lion, which was among the few honorable mentions at the 2018 New York Book Festival. The Fearful Lion is the story of a young man—the buoyant and brilliant Osama Ali Khan—desperately looking to overcome his emotional insecurities and few wrong assumptions others had about him. As an immigrant to the United States, Ms Akhtar has focused her writings on voices from diverse backgrounds. It’s her belief that unique perspectives and distinctive societal norms help enrich cultures, enabling them to evolve. Since migrating to the US in the early 1990s, she has been associated with various non-profit organizations. Her writing generally focuses on social issues and on the importance of raising strong families. She has published articles in local and international newspapers. Two of her short story collections—A Very Resilient Amreeki Dream and Miseries, Illusions, and Hope—were published in 2015 and 2016, respectively. Ms. Akhtar is a huge movie watcher. She believes that actors and writers are the agents of change, who have the ability to make a difference in the community around them. She lives in Bloomfield Hills, Michigan, with her husband Adil.